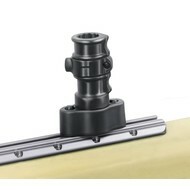 Koppeling voor visboor rail met Spline post aansluiting. 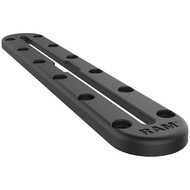 For the serious kayak angler, the RAM® Quick Release Track Base is a universal mounting solution for a wide variety of RAM kayak products. 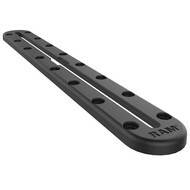 The RAM Adapt-A-Post™ Quick Release Track base is available to mount the full line of RAM Post and Spline rod holders, for your heavier fishing rod set-ups. 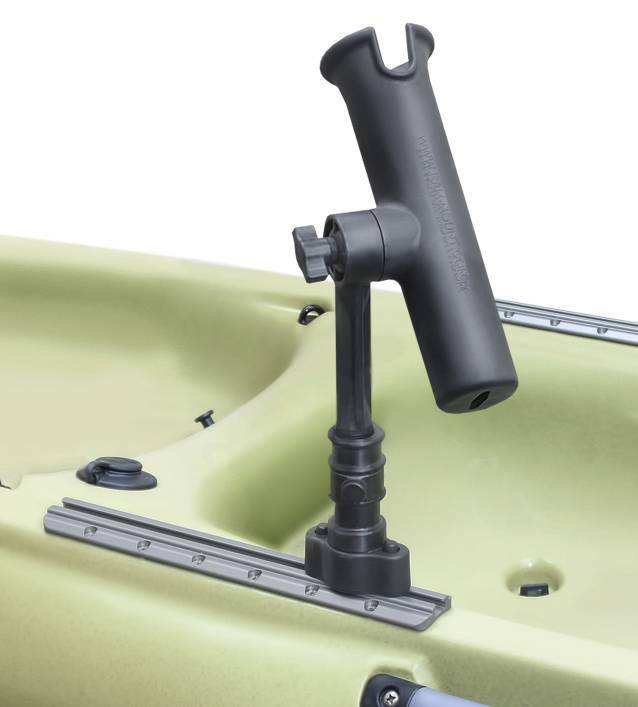 Designed to accommodate most kayak tracks, quickly fasten and adjust the base to your existing track system or add a track system to kayak set up. Popular tracks include Yakattack's GearTrac System, Wilderness Systems SlideTrax and common T-Slot Track Systems. To adjust, simply depress the release buttons and turn the ball counter-clockwise. 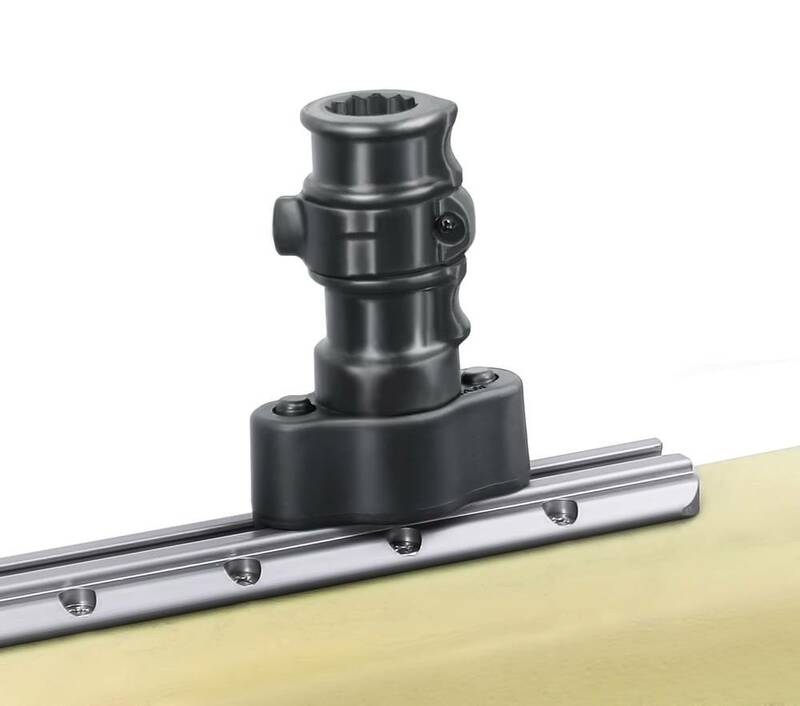 The base will slide along the track, giving you the ultimate flexibility in repositioning your rod holder or mounted device. 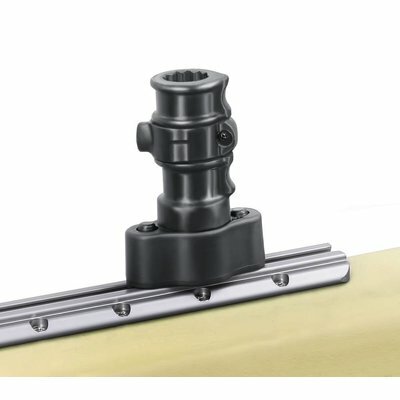 The RAM Quick Release Track base can be installed at any point along the track without the need to feed in from one end of the track. 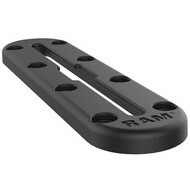 A necessity for all fishing enthusiasts, the RAM Quick Release Track Base is certain to create more mounting options on whatever you choose to take to the water.